Graveside service for Janie Louise “Lou” Blanton, 72, of Cleburne will be conducted at 10:00 A.M., Friday, July 6, 2018 in the Grandview Cemetery. The Reverend Charles E. Payne and the Reverend Brooks Monk will officiate. Pallbearers will be David Barber, Randy Blanton, Robert Blanton, Paul Papan, Chandler Chamberlain, Christian Blanton, Jake Blanton and David Barber Jr.
Visitation will be from 6-8:00 P.M., Thursday, July 5, 2018 at the funeral home. 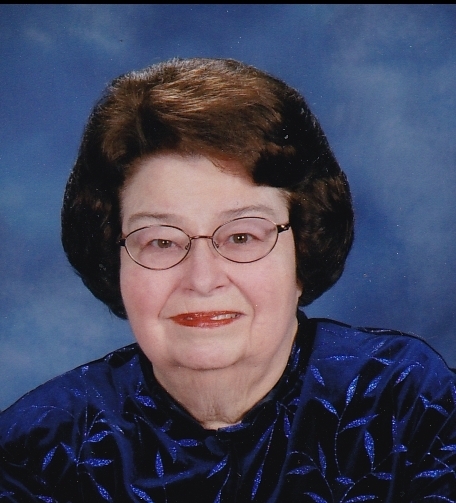 Janie Louise “Lou” Blanton passed away Monday, July 2, 2018 in Cleburne. She was born March 16, 1946 in Denton to Dalton Vance and Virginia Jewel Bradburn McFarlin. She married Bobby Dan Blanton on July 1, 1967 in Arlington and he preceded her in death on August 1, 2010, after 43 years of marriage. Lou was a missionary and an active member of Calvary Baptist Church. Survivors include her two sons, Randall Blanton and wife Sheila of North Richland Hills and Robert Blanton and wife Alicia of Bedford; two daughters, Dana Barber and husband David of Haymarket, VA and Beverly Papan and husband Paul of Grandview; sister, Pat Foster and husband Don; step brother, Ralph Wilson and wife Sue; two stepsisters, Marcia Artzberger and husband Mickey and Carol Morse; 12 grandchildren, Jason, Jake, Sarah, David Jr., Elissa, Lauren, Mark, Chandler, Delaney, Christian, Nathaniel, and Luke; and six great grandchildren. She was also preceded in death by her parents and a brother, Dalton Vance McFarlin Jr.
To send flowers to the family of Janie Louise "Lou" Blanton (McFarlin), please visit our Heartfelt Sympathies Store.